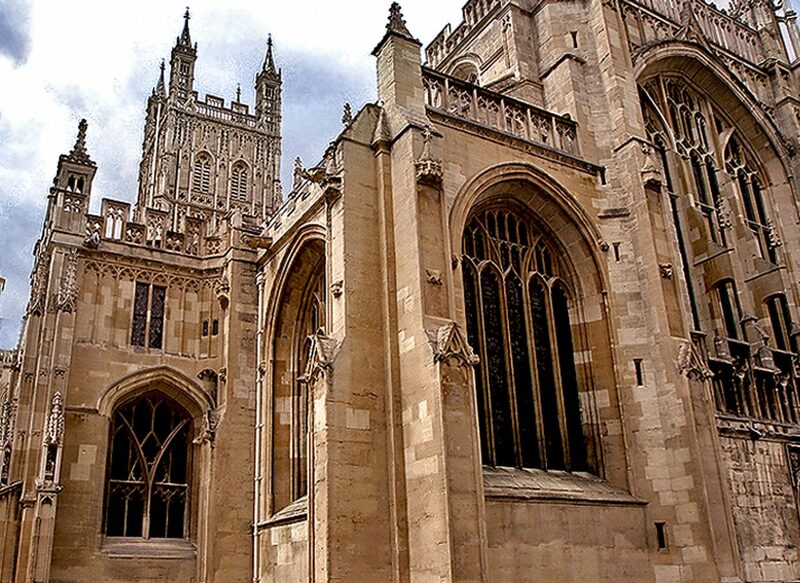 take your own photo of your church or cathedral and don’t be afraid to get arty! 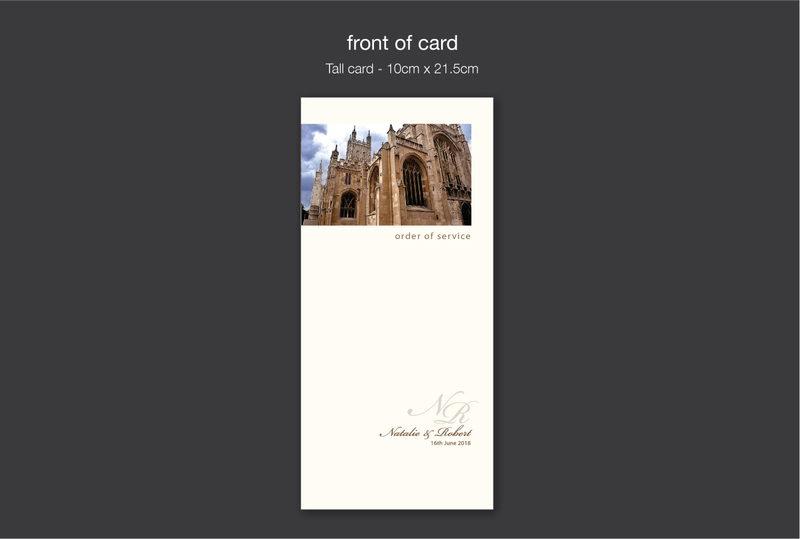 It can just highlight a detail of the architecture or a stained glass window. 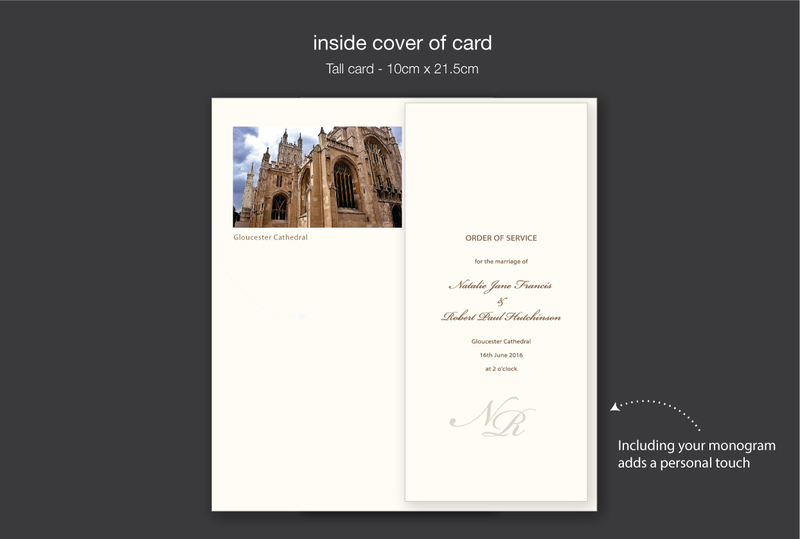 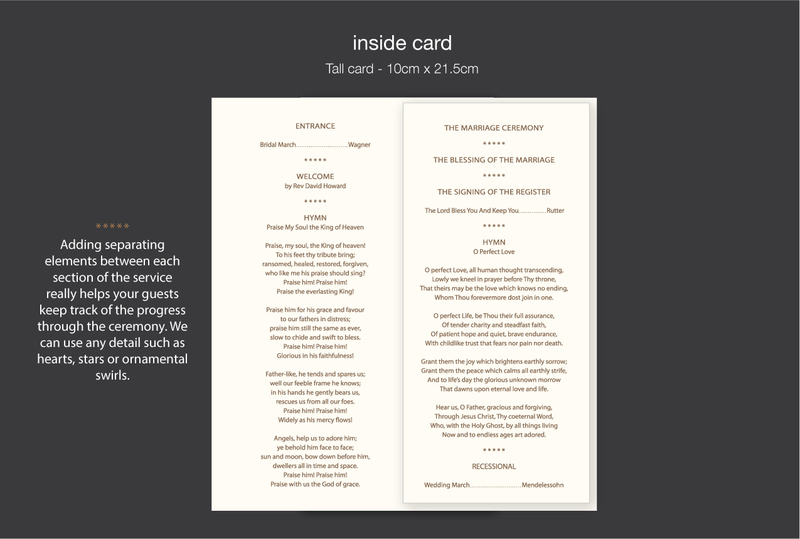 Just tell us you like the ‘cathedral order of service ‘ if you would like to use any design details from this example.